One of the great pleasures of collecting and reading old motorcycling books are the glimpses into riding in years, if not decades, gone by. 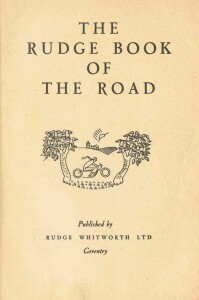 The Rudge Book of the Road, for example, was published by Rudge Whitworth Ltd in Coventry between the wars to help buyers of Rudge motorcycles better enjoy their new vehicles. The book charms before the modern reader gets that far. Bound in cheap buff leather, it could be held safe and closed by a tab and snap while riding those romantic roads, The Rudge Book sold for an extravagant 2/6 (that’s two shilling and sixpence or 12.5p – Ed). The end papers are decorated with a repeated motif of a rider hunched over his motorcycle, a setting sun, and a tree that looks like a leaf. There are line drawings and old photographs as illustrations, including one of a Rudge with a sidecar as well as pulling a caravan. My favorite is a gentleman in plus-fours servicing his Rudge. Oil and grease? What oil and grease? 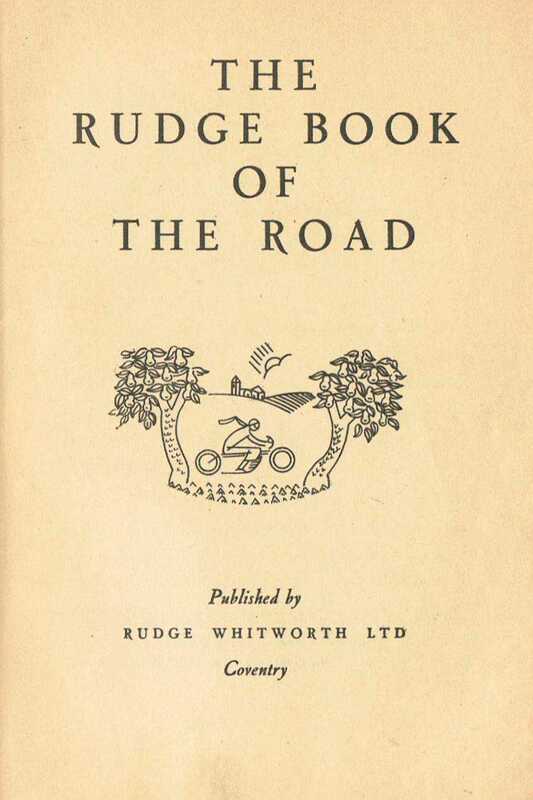 The heart of the book – beyond the ongoing sales-pitch about the wonders of the wonderful Rudge – is how to enjoy and care for the motorcycle (or motor-cycle); what laws the rider has to obey; how to tour Britain; and the like. Chapter six offers “Weather Wisdom on the Road”: how to identify clouds and what each type of cloud means in terms of weather conditions. “By Sun and Signpost” provides instructions about how to tell direction using trees and watches (wrist as well as pocket; this is after the Great War, as it is called here). The chapter also recommends 20mph as a comfortable touring speed; 30 is strictly for the young and the vigorous. Another chapter is virtually a field guide to British architecture in general and church architecture in particular. (My academic field is architectural history; this chapter is a rather good quick-start.) There’s a chart of ferry fees, both with and without sidecar. Crossing the Thames from Woolwich to North Woolwich was free in the 1920s (and is still free today – Ed), but crossing from Tilbury to Gravesend was 7d; 10d if there was a sidecar. A “lamplighter’s guide” would keep the rider compliant with a law that required license plates be illuminated within half an hour after sunset: roughly 8.50 p.m. on 1 July, but 8.35 on 20 July. Maps are in the back. Other chapters cover the law, regular maintenance, and troubleshooting. There are two on racing, one in general and the other on the T.T. A later chapter includes a bibliography for further reading, including a section called “The Spirit of the Open”, which is a list of books about traveling that open and romantic road. Authors whose works are cited include Hilaire Belloc, E.V. Lucas, and G.K. Chesterton, none of whose travel pieces are read today. Of course how-to books are nothing new. 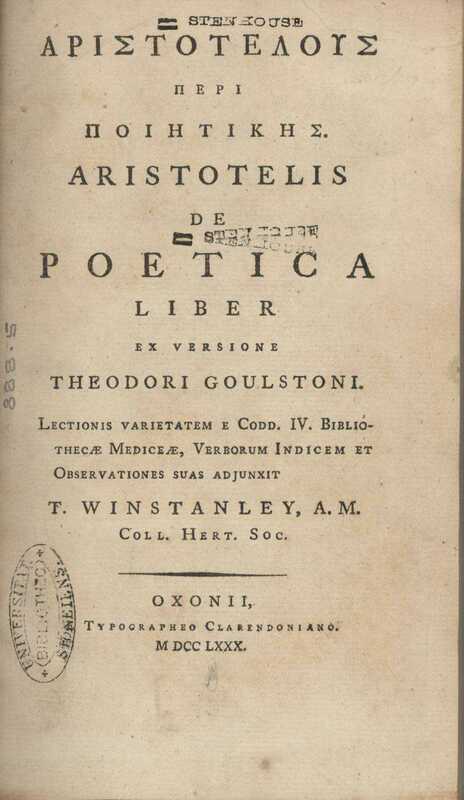 The oldest one I can think of off the top of my head is Aristotle’s Poetics, or how to write a play. Whether Aristotle ever wrote one himself remains an open question. Baldassare Castiglione’s Book of the Courtier – or How to Win Friends and Influence People for the English Renaissance set – set the standard for the perfect British gentleman back in the 16th century, a model that continued well into the 20th. Castiglione’s ideal of sprezzatura (the easy grace that conceals – as much as it is the result of – practice and hard work) nevertheless lingers, though mostly as attitude in the worlds of art, fashion, entertainment, and sports. 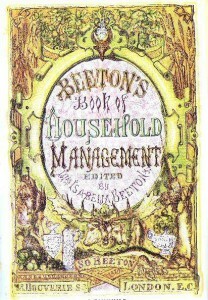 Not all how-to books have the shelf life of Aristotle or Castiglione. 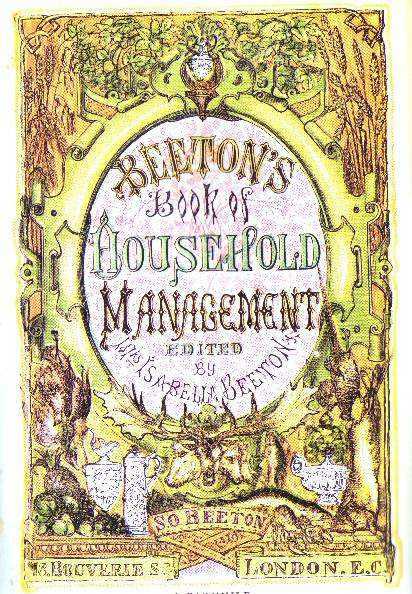 The first editions of Mrs Beeton’s Book of Household Management (1861) are read today for its insights and information about domestic arrangements and management in the Victorian Age (if not laughs) than it is as guide for contemporary “household management”. 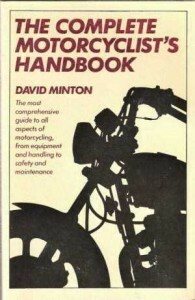 Old motorcycling manuals – as well as new ones – cover such necessary skills and background knowledge as: how motorcycles work; how to ride one, from basic handling to rules of the road; how to dress and prepare for a ride; what to do after a license is obtained, from racing to touring; and how to connect to the wider biking community, from media to organizations. But once the up-to-the-minute information has gone past its due date, the book becomes a quaint and amusing piece of time, petrified in print. In The Motorcycle Handbook (1975), Bob Clampett not only introduces the new rider to the two-stroke and four-stroke motors, but also the then radically new rotary that Suzuki had just introduced to the market. Other topical references include calling tourers “easy riders” from the film released a few years earlier as well as a final chapter entitled “And Then Came You”, which recalls a short-lived TV program, Then Came Bronson, featuring a motorcyclist in search of himself and decent ratings, ultimately finding neither. The chapter on “Learning to Ride” recommends Yamaha’s “Learn to Ride Safely” launched in 1973, the same year as the Motorcycle Safety Foundation (MSF) began its programs. 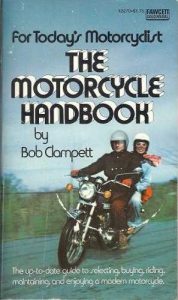 Clampett also suggests that the new rider insist on instruction from the dealership as a condition for buying a motorcycle. The checklist to start a bike includes: “Keeping your weight on your left leg, pull up the side kickstand. Place the ball of your right foot on the kick-starter, and kick it through, firmly, all in one movement. If it doesn’t start, release the throttle, open it again to about one-quarter, and try again. It should start.” Right. The British Complete Motorcyclist’s Handbook (1981) doesn’t age that much better despite the best efforts of its editor, David Minton, and such contributors as Peter Bickerstaff, then the Technical Officer of the Vincent Owners Club, and Mike Hailwood, the famous motorcycle racer who was killed in a car accident shortly after completing his pieces for the book. Minton confronts and confounds the new rider with such motorcycle categories as “megacycles” and “paradoxycles”. The former is defined as bikes for which quantity tops quality and size trumps performance. He cites Harley-Davidson as an example. Paradoxycles are concept bikes with unresolved elements. MZ and BSA are among the marques of motorcycles Minton discusses more seriously. Less twee are instructions for bump starting and basic maintenance, the latter illustrated with a bearded and shaggy model already anachronistic in the then ascendancy of the yuppies. 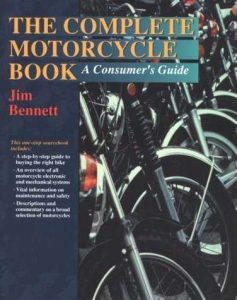 More than a decade later, Jim Bennett attempts humor in The Complete Motorcycle Book (1995) when he starts his how-to manual by recommending that parents don’t “Just Say No” when their 14-year-old son informs them he wants to ride a motorcycle. It isn’t until the end of the chapter that Bennett acknowledges that the reader of the book may not in fact be a parent facing a stubborn child, but someone who wants to ride himself. It isn’t until the end of the book that Bennett acknowledges that the reader may not in fact be male, but female. Bennett notes that the rotary engine is now dead, adding that its “last producer, Norton, fell victim to Thatcherism, the leveraged buy-out greed of the ‘80s, and Reagonomics”. He feels that only the four-stroke is the proven winner, but does explain all three engine types. By the 90s, the café racer has made enough of a comeback that Bennett feels obligated to warn readers that such bikes are not for everyone. He determines that the annual cost for the first year a rider has a new motorcycle is $5,292. Bennett even tosses in his three golden rules for safe riding: wear a helmet; don’t drink and drive; and take a motorcycle safety course. “Discover your inner biker!” touts the cover of The Everything Motorcycle Book by A.J. Drew (2002). Presumably Drew, whose expertise is in Harley-Davidsons, is not responsible for that dated comment. A decade is a long time with both vernacular and vehicles. But the mechanics of learning to ride, riding, and maintaining a bike are completely recognizable. Furthermore, Drew goes beyond what the earlier how-to manuals covered, going deeper into insurance issues and including a chapter about “When You Have to Hit Something”. Usually when bikers hit something, it’s an accident; but then again, most bikers don’t ride a Hog. 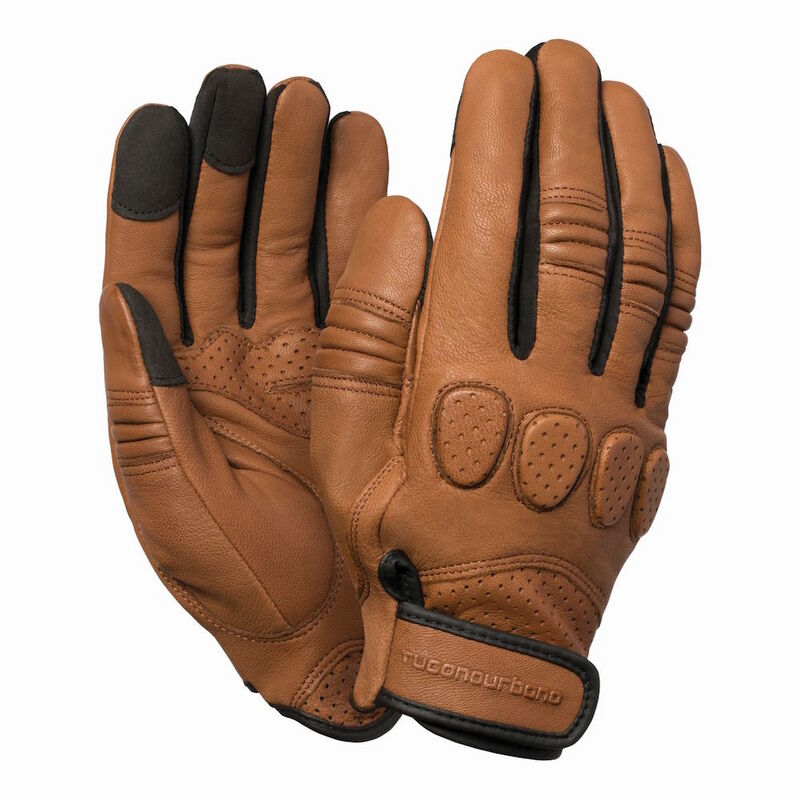 He even covers “Biker Fashion Faux Pas”: no chains connecting the wallet to the belt; no fringe on the leathers; no studs or spurs – as dangerous in a crash as they are to chrome and metal; and no long hair worn loose. Drew’s recommendation that riders “Pack a cell phone even if you don’t plan to use it” in case of emergencies is hysterical a decade later, but not in a good way. As for actually learning to ride, while he doesn’t stint on written instructions, he tows the official line about the (very real) benefits of MSF beginning riding classes: an automatic license upon successful completion of the course in some states and reduced insurance rates. Only a year younger and effectively immune to the humor of 20/20 hindsight is The Motorcycle Book by Alan Seeley. This how-to manual has lots of color pictures, four logical sections, and all but ignores the existence of any engine but the four-stroke. The two-stroke is noted in glorified passing, while the rotary goes unmentioned. 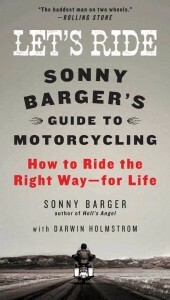 We are now in the age of the “contemporary” how to ride a motorcycle book. Or rather books. 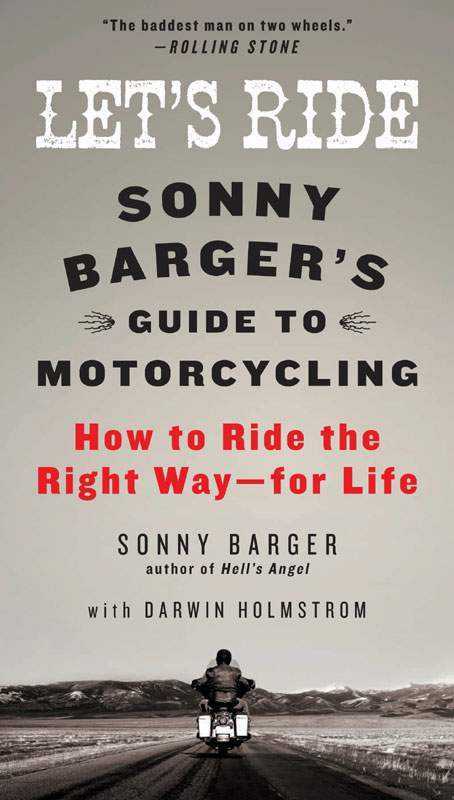 Currently available to the aspiring rider are Let’s Ride: Sonny Barger’s Guide to Motorcycling (2010); the fifth edition of The Complete Idiot’s Guide to Motorcycles (2011); and Shifting Gears at 50: A Motorcycling Guide for New and Returning Riders (2012). 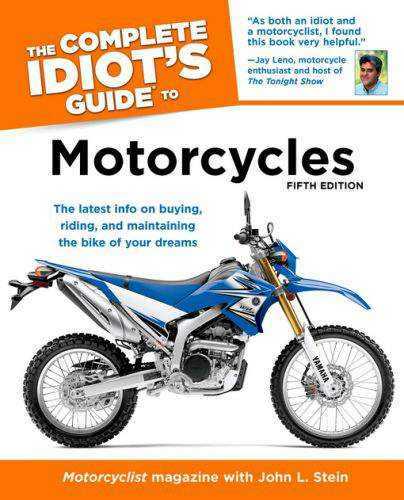 The Idiot’s Guide also carries the endorsement of Motorcyclist magazine, while Shifting Gears is associated with Rider magazine. Darwin Holmstrom is listed as the name author on the previous four editions of the Idiot’s Guides and as co-author of Let’s Ride. That’s five how-to-ride books in the last fourteen years. Let’s start with Let’s Ride, which is both the most interesting and most entertaining of the three. Since I don’t know how well-known Barger is outside the U.S., I’ll give him a brief introduction. Barger organized and built the Hells Angels into an international organization, not only becoming one of its more visible members, but also one of its more notorious. He wound up serving a couple of sentences in jail, whether justifiably or not depends upon whom you ask, the day of the week, and the phase of the moon. A seventy-something cancer survivor, his current causes include motorcycle safety and branding himself. Let’s Ride is a good example of the former; peddling logo tee shirts, baseball caps, wine, and even hot sauce (Sonny Barger’s Hellfire Sauces!) 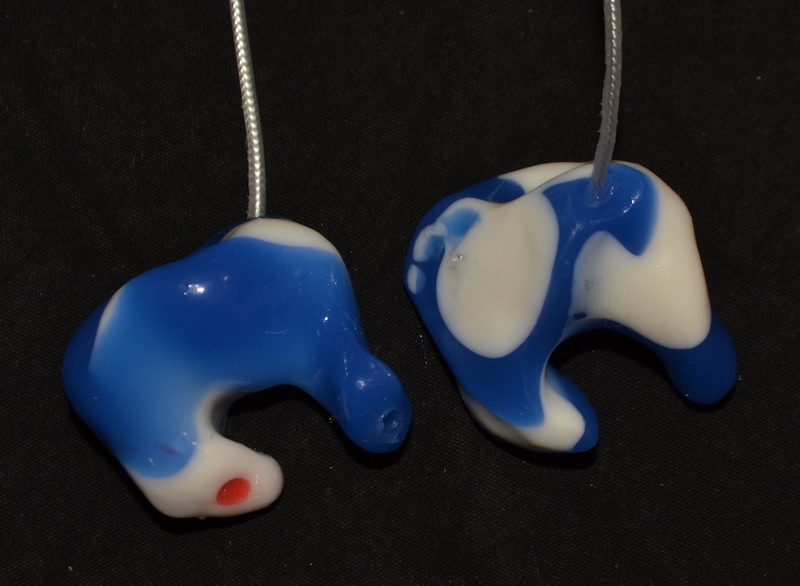 among other items on his website the latter. He also has a Facebook page and a Twitter account. Don’t laugh: he successfully branded the Hells Angels and is well on the way to success with his current project. He is one one-percenter who seems determined to become a member of the other one percent. 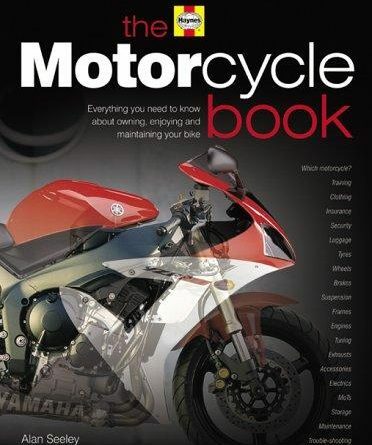 The book covers the expected: what a motorcycle is (only the four-stroke is discussed); what to ride; how to ride (basic and advanced); buying a bike (new or used); how to care for a bike; as well as clubs, organization, and other resources for new and experienced riders. The sauce for the meat, however, is Barger himself who turns out to be chatty and entertaining. It is always a mistake to try to guess who did what (and, in some cases, to whom) in any form of collaboration, but I would venture to say Holmstrom goes beyond just translating Barger thoughts and experience to the printed page. He provides why someone should read the book while Barger’s personality makes it fun to read. 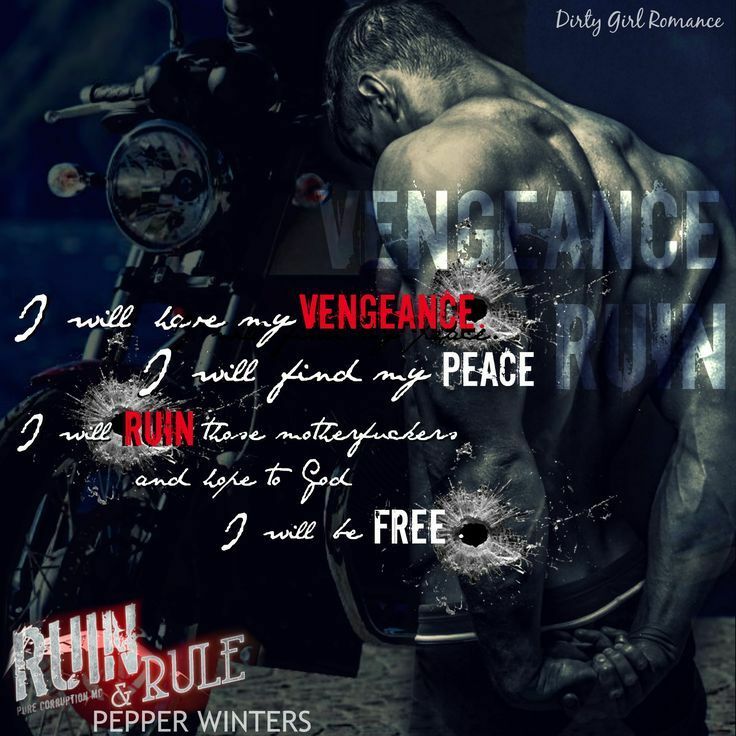 The book comes alive when Barger gets personal or goes on a rant. In some places, it sounds almost maternal: “Do whatever it takes to clear your head including going to the bathroom”; in others, paranoid: “When riding on public highways, I recommend adopting the attitude that every single person on the road is a sociopathic serial killer who has just escaped from an asylum for the criminally insane… whose sole purpose is to kill you”. In not quite the same breath, he blames the use of cell phones by motorists while driving for the rising number of road accidents in general and those killing motorcyclists in particular. And then of course there’s the do-what-I-say-and-not-what-I-do advice. He recommends bikes in bright colors for visibility, adding that he’ll only ride black bikes. Holmstrom, a professional writer, provides the scaffolding for all that opinion. 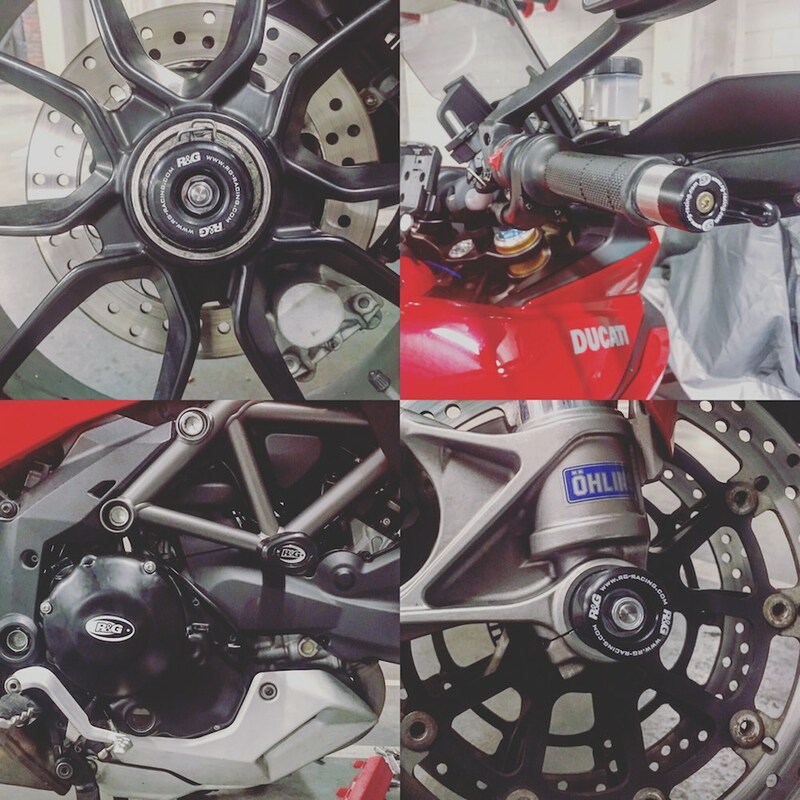 Here is the pitch for the MSF as well as its T-CLOCK list of things to check on a motorcycle before each ride (Tires & wheels, Controls, Lights, Oil, Chassis, and Kickstand). There is the clunker only a ghostwriter would use, “purpose-built race bike” (page 86). Purpose-built is a reading phrase not a speaking phrase and breaks the illusion of Barger talking directly to the reader. Later commenting on a bit of legislation, there is “[p]rotecting fools from themselves seems a futile activity to me, but I digress”. The attitude sounds like Barger; the phrasing, Holmstrom. 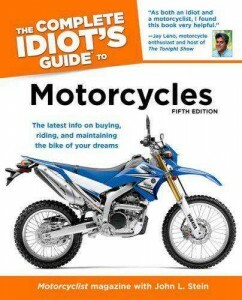 Holmstrom was also responsible for the first four editions of The Complete Idiot’s Guide to Motorcycles. The fifth edition was taken over by another professional word slinger, John L. Stein. While it is unlikely that anyone in his or her right mind would ever read — or need — the earlier editions, some changes are worth noting. 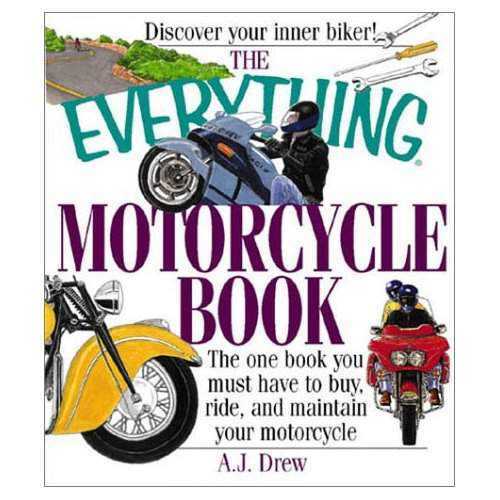 The first edition included a reference card of state motorcycle requirements, screwy little drawings accompanying asides, definitions, or call-out quotes, as well as a dry, but delicious, forward by television personality Jay Leno. “Motorcyclogy” features tips and tidbits illustrated by a police officer; “Cycle Babble”, definitions of technical and sub-cultural terms, a cartoon motorcycle with a head for a headlight; and “Steer Clear”, what not to do, a road sign proclaiming “slippery when wet”. By the current edition, the cartoons have been replaced by a light bulb, an open book, and a step ladder with a stick figure respectively. Instead of being placed in highlighted boxes these elements are just indented blocks of type. Leno’s forward has disappeared, but his cover endorsement quote remains: “As both an idiot and a motorcyclist, I found this book very helpful”. Most people do find Idiot’s Guides helpful. A popular and successful series each volume uses humor and trivia to make ostensibly difficult subjects easy. A modular formula that is consistent from how-to book to how-to book helps as well. Someone who found one book in the series helpful would probably find another helpful as well. The humor and personalization can create problems as revised editions are released. Both Holmstrom’s fourth edition and Stein’s fifth edition begin with an introduction about the presumed author’s grandfather, a serious motorcyclist, who worked for Norton. Does that mean if I were to revise The Idiot’s Guide for the sixth edition I could have a grandfather who worked for Norton as well? Other attempts to revise the guide do not fare much better. 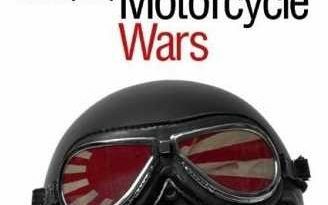 In a discussion about the reliability of mid-century British motorcycles, Holmstrom originally wrote: “More than one rider saw pistons, valves, and connecting rods flying from their engines as they exploded like grenades between the riders’ legs”. By the fourth edition, this has been revised to: “more than one rider saw pistons, valves, and connecting rods flying from their engines as the exploded like oily grenades just below their baby-making equipment”. There was no need for revision and, since it is clear Holmstrom is thinking of the male rider, it would have been less vulgar to have said crotch or balls. From the first edition, the series has always focused on the four-stroke, affectionately dismissing the two-stroke in a handful of paragraphs and the note: “Two-strokes tend to have power-delivery characteristics best suited for experienced, slightly insane motorcyclists”. 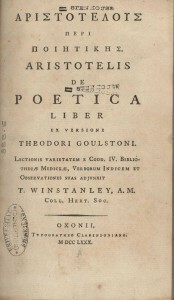 If it matters, Holmstrom’s “purpose-built” appears on page 38 of the first edition; had migrated to page 42 of the fourth; and settled, for now, on page 43 in the fifth. More reasonable revisions include up to date information on current motorcycle models and an excellent chapter about trikes, sidecars, and electric bikes. Earlier editions had all but overlooked trikes and sidecars, even though they have been around for about as long as motorcycles. Stein treats electric bikes as exciting new technology, much as Clampett discussed the potential of the rotary engine. It would have been nice, though, if Stein had skipped the extension cord joke. 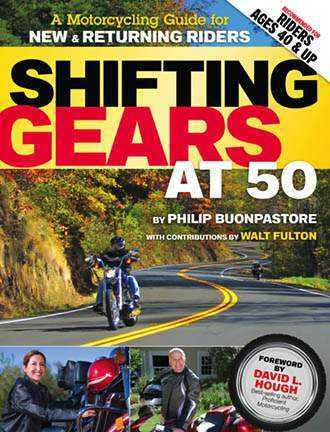 Unlike Barger and The Idiot’s Guide, which address anyone who’s interested in starting to ride, Shifting Gears targets older riders: new or returning, some as young as 40, some as old as 60. It’s a growing, but still undefined market. In his introduction to Shifting Gears, David L. Hough notes that the average age for a rider in the U.S. is 50. AARP, an organization representing the rights and interests of older Americans – you have to be over 50 to join – offers its members special rates on motorcycle insurance. 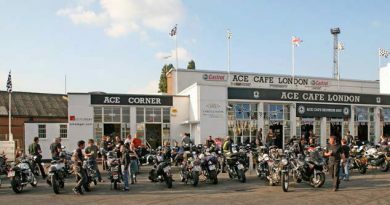 The MSF, always eager to extend its brand and expand its business, started a special course for returning riders in 2011. There are even clubs and organizations for senior riders. Stein cites the Older Bikers Riding Club and the Retreads Motorcycle Club International, Inc. as two such examples. An unrelated Google flushed out Old Coots on Scoots. In short, what Shifting Gears at 50’s author, Philip Buonpastore, has here is a great concept and a virtually untapped niche. It even makes the jacket copy, “Recommended for Riders Ages 40 & Up”, almost forgivable. Since Buonpastore didn’t buy his first motorcycle until he was 40, it might have been a good idea to have diddled the title in that direction. 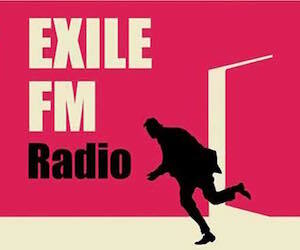 What we have here is a bungled opportunity. Buonpastore tries to do two things in one volume: provide basic instructions for riding specifically tailored to the needs of older people as well as a selection of articles about places he’s visited as an older rider – all reprints of pieces he published in various magazines. Either done right would have made a good book. At least the how-to guide isn’t bad on the usual basics and even has moments of intentional quality. Contributor Walt Fulton suggests that older riders will be more successful riders if they can ride a bicycle and can drive a motorcar with a manual transmission. Sidebars feature the experiences of older or returning riders. Buonpastore himself tackles the critical question as to whether older riders have diminished reaction times. The answer is yes, but no. It may well be that younger riders are using their faster reaction times to overcompensate for their lack of maturity and experience. Buonpastore goes wrong in the second half of the book. His travel articles that he has selected to reprint here are all fine in and of themselves. The photographs are certainly lovely. 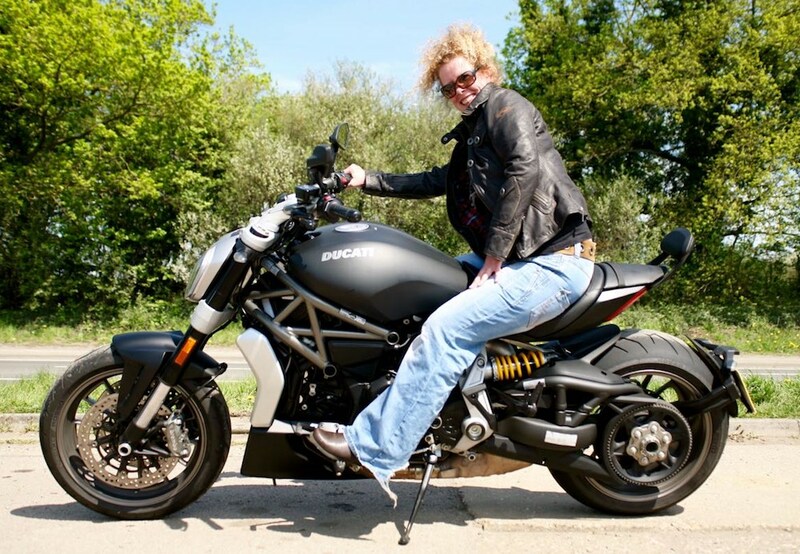 What was needed here was one longer piece about his journey to becoming a motorcyclist who took such journeys. It is mentioned in passing, but then it’s off to the next topic. But that would have taken the book from ordinary to extraordinary; that would have fulfilled the promise of the title: and that would have made the book more than just another how-to guide. How these three books will read in another 10 or 15 years is anyone’s guess. Certainly not mine. One of the best ways to make yourself foolish is to try to predict the future. Nevertheless, Let’s Ride has the best shot. It gets four wheelies out of a possible five for solid information and five for character. The fun and flavor of Barger’s personality should read as well in 2022 as it does today. How the more technical sections on the four-stroke will read when we’re all riding solarcycles is unknown. The Idiot’s Guide gets a full five wheelies for information. It’s about as complete and up-to-date as such things can be. That means, of course, that it will date faster. The fake character of the narrative voice – that profligate, if not purpose-built, grandfather – is getting old fast and undermines the credibility of the book somehow for me. I’ll give it three wheelies instead of two since the likelihood of anyone reading more than one edition is rather small. Also, for British readers interested in motorcycling in the States, Let’s Ride would be the better choice; The Idiot’s Guide would have the effect of “too much information”. I’m not sure even I need to know there is a riding club in Santa Cruz for vampires. Shifting Gears is most like to wind up in the book-for-a-pound bin in front of the local used and second hand book shop by the end of next year. The first part of the book manages four and three wheelies easily enough, but the second half manages none, halving the total. 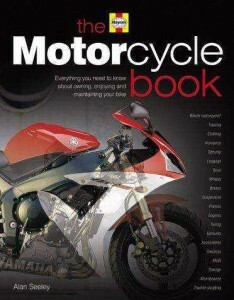 On the other hand, for the moment it is the only book that does address the issues facing the older rider. All three books are available through Amazon, as are most of the out-of-print volumes.